Quilting Adventures: August ..... Already? Sitting back, enjoying some Oprah Chai ice tea, while catching up on some reading! That's been pretty much my life this summer. What a simple pleasure! On the quilting front, allow me to share a quilt I made for my nephew Vincent that I call Speedster. I used a Speedster FQ tower from a fabric line designed by Riley Blake. 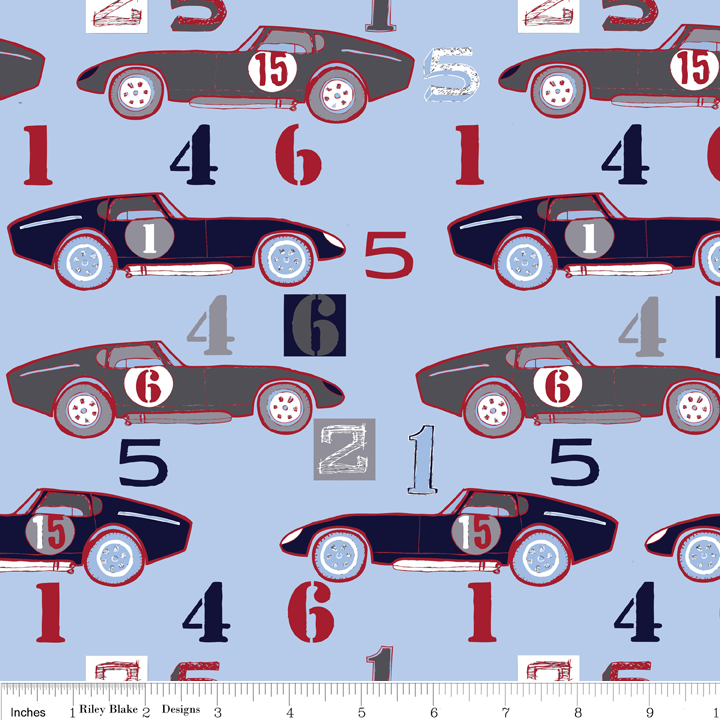 The quilt pattern is called Racer and can be had free from Riley Blake Designs. I made the quilt larger by increasing the size of the blocks. Thanks for stopping by! I hope you've also had some time to relax! Cheers! What a cute quilt! Glad you are enjoying summer. What a super fun quilt -- that fabric is darling! Can you believe how quickly the summer is whizzing by? It seems like we were just at quilt market!! !